Why Do People Use Anise? 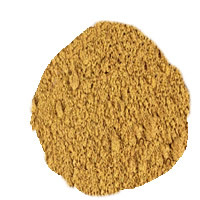 Anise powder is utilized for flatulence, dyspepsia, rhinorrhea and also used as diuretic, expectorant and appetite stimulant. Pimpinella anisum (Anise) is likewise used to induce menstruation, improve lactation, facilitate in birth, increase libido, treat dysmenorrheal abnormalities and treat manifestations of "male menopause." Other uses incorporate treatment of nicotine dependence, seizures, asthma, insomnia and constipation. Topically, anise is utilized for psoriasis treatment, scabies and as a remedy for head lice. In food items, anise powder is utilized as a flavoring agent to enhance taste of foods. Pimpinella anisum has a sweet taste and fragrant smell- these proprieties resemble licorice. It is usually utilized in liquors and alcohols, for example, ouzo and anisette. Moreover, it is utilized as a part of gelatins, dairy items, sweets, meats and breath fresheners. For manufacturing purpose, anise powder is used for the manufacture of creams, to enhance soap fragrance, sachets and perfumes. Likely safe - The oral consumption of anise powder is likely safe as long as it is consumed in amounts present in food items. In the United States, anise and its oil are generally recognized as safe (GRAS). There is insufficient authentic information to rate the safety of different Pimpinella anisum doses for the preparation of medicines. Possibly safe for Children - The oral consumption of anise powder is likely safe in children as long as they consume it in amount generally present in food items. In the United States, anise and its oil are generally recognized as safe (GRAS). Possibly safe - The topical application of anise is possibly safe. It is possibly safe when applied to hair 3 times at intervals equal to or more than 5 days. There is insufficient authentic information to rate the safety of different medicinal doses of Pimpinella anisum. Possibly safe in Pregnancy and Lactation - Pregnant and breastfeeding females can use anise powder without any side effects as long as they use it orally and within prescribed dose range. Although anise and its oil are generally recognized as safe in the US but there is lack of relevant information to the rate the safety of use of this herb for medicinal purposes during lactation and pregnancy. Likely effective for Dysmenorrhea - Results of clinical trials prove that by consuming a particular product mixture consisting of celery seeds, saffron and anise extracts of 500 mg for three times a day for 3 ` ` consecutive days, beginning at the onset of pain or bleeding, can significant reduce the severity of pain following menstruation as compared to placebo treatment. Inadequate information to rate the effective against lice - A hair spray containing coconut oil, anise oil and ylang ylang oil seems to have superior anti-lice action. Some clinical experiments suggest that this combination is effective for the treatment of head lice in more than 90% in children and has somewhat superior effects when compared to hair spray containing piperonyl butoxide, permethrin malathion and isododecane. Important Anise parts are its oil, seed and less often the root and leaf. Pimpinella anisum possess beta-farnesene ,anethole, eugenol, anisaldehyde, methylchavicol, anisketone, estragole, courmarins, linalool, umbelliferone, estrols and scopeletin. Licorice-like taste and smell of anise are because of ahethole present in it. Some experiments suggest that anise powder may have pain relieving actions. Anise oil may have anticonvulsant impacts. Most experiments suggest that anise oil has gamma-aminobutyric acid (GABA) agonist action. The essential oil of anise, which is basically an aqueous or ethanolic extract, seem to have bronchodilatory actions, likely due to anticholinergic mechanism. Experiments also provide some information that estragole and eugenol present in anise may have hypothermic, anesthetic, anticonvulsant and muscle relaxant activities. Anethole is responsible for muscle relaxation caused by anise powder. Experiments also prove that anise powder may be helpful in preventing dehydration. It appears to improve the action of sodium-potassium ATPase, which then causes increased absorption of glucose. It likewise appears to have an antidiuretic action, which is basically due to its ability to stimulate sodium-potassium pump in the kidney. Nonetheless, it doesn't appear to have any effect on the colonic sodium-potassium ATPase. Fluid extract of anise may have antiestrogen action. Therefore, it appears to fortify activity of osteoblasts in the bones. What Are The Side Effects /Adverse Reactions of Anise? Anise when used along with a mixture of different herbs could be the reason for localized pruritus. Occupational asthma, rhinoconjunctivitis and anaphylactic reasction have also been reported in allergic patients. How Anise Interacts With Other Herbs and Supplements? How Anise Interacts With Drugs? Contraceptive Drugs - Careful monitoring is required for this interaction of moderate nature. Evidences recommend that anise powder may have intrinsic antiestrogen effects. Therefore, use of Pimpinella anisum in large amounts may hinder the effectiveness of contraceptive drugs. Estrogens - This interaction is of moderate nature and requires careful monitoring. Evidences recommend that large dose of anise powder may nullify the impacts of hormone replacement therapy. Tamoxifen - This is another moderate interaction of Pimpinella anisum with different drugs. Large dosages of anise powder may react with tamoxifen due to its estrogenic effects. How Anise Interacts With Foods? How Anise Interacts With Lab Tests? How Anise Interacts With Diseases and Conditions? Hormone Sensitive Cancers/Conditions - Due to its estrogenic effects, women with hormone sensitive conditions should avoid the use of anise powder. Such conditions may involve uterine cancer, breast cancer, endometriosis, ovarian cancer and uterine fibroids. What Should Be the Dose/Administration of Anise? For dysmenorrhea, a particular mixture product containing saffron, anise and seeds of celery extracts, in a dose 500 mg three times each day for consecutively 3 days from the onset menstruation has been utilized. Generally, dried anise fruits with quantity of 0.5-1 grams or essential oil of 0.05-0.2 mL, three times each day has been utilized. 1-2 teaspoons of crushed seeds are used to make tea by 10-15 minutes steeping. As an expectorant, one cup of tea is usually taken in the morning and/or around evening time. As an antiflatulent, one tablespoon of the tea is typically taken a many times every day.